New levels of insight and innovation are necessary to succeed in today’s unpredictable business environment. In this economy, everyone on the leadership team needs to work together to meet strategic and tactical challenges as you navigate the road ahead. The MHI 2013 Annual Meeting and Executive Conference includes Industry Group meetings and a conference agenda that will deliver actionable advice your team needs to meet today’s supply chain challenges. You’ll learn how to anticipate and take advantage of changing business and economic environments and discover key insights into leadership and strategic innovation that can help you retain customers, engage employees and position your organization for future success. You can also connect with your peers and other industry leaders in an interactive and collaborative environment. Join us for the MHI 2013 Annual Meetings and Executive Conference We anticipate strong registration for this meeting, so be sure to register early and reserve your hotel accommodations no later than August 27th. 12:30 PM - 4:30 PM Bass Fishing Spend the afternoon fishing in Orlando, world renowned for Trophy Largemouth Bass fishing. 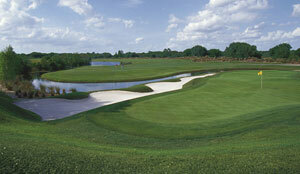 1:00 PM - END Golf Tournament Compete with other MHI members at Grand Cypress Golf Club. 9:00 AM - 3:00 PM Spouse Event - Winter Park Tour Winter Park Boat Tour and Morse Museum. 6:30 PM - 10:00 PM Dinner - Universal Studios Dinner at Lombard’s Restaurant with show and park ride. Hotel shuttles to the golf course are on a first come first serve basis and run all day. Plan your transfer accordingly. 12:45 PM All players report to the club house no later than this time. Winners of the Tournament will be announced at the Welcome Reception that evening. Spend the afternoon fishing in Orlando, world renowned for Trophy Largemouth Bass fishing. Your guide will ensure you are in the best location and provide suggested lures and expertise for a not to be forgotten experience. While fishing you will see and experience first-hand a wide variety of birds and wildlife in their natural habitat. (This event does not include lunch.) You may bring your own snacks and beverages to put in the boat cooler. Note: 14 people minimum required for this event…must be signed up by the 9/12/13 cut off. Hotel shuttles to the golf academy are on a first come first serve basis and run all day. Plan your transfer accordingly. 10:45 AM All players report to the academy no later than this time. Note: There is no full-service restaurant at the academy. Beverages are for sale at the front desk. You will need them to transfer you to the clubhouse for the golf tournament and for the club restaurant. In 1887 Winter Park was originally developed for wealthy Northerners as a summer retreat. Your tour begins with a relaxing, 45-minute pontoon boat ride while gliding through canals and tree lined lakes. View beautiful homes nestled along beautiful lakes and observe nature. Next stop is the Charles Hosmer Morse Museum of American Art. This museum houses the world's most comprehensive collection of the works of Louis Comfort Tiffany (1848-1933) including Tiffany jewelry, pottery, paintings, art glass, leaded-glass windows, lamps, and the chapel interior he designed for the 1893 World's Columbian Exposition in Chicago. For lunch, you will be taken to the Park Avenue shopping district where the Southern charm that lured the elite society can still be seen. Picturesque shops, boutiques, cafes, brick-lined streets and the towering trees of Central Park make Park Avenue the place to be and be seen. After lunch you will have some time to browse the exclusive boutiques and art galleries filled with one-of-a-kind treasures, as well as stores bearing the names of your favorite designers. Located on the San Francisco set at Universal Studios, Lombard’s will delight you with waterfront views and recreations of classic landmarks of “The City By The Bay.” Lombard’s has the large deck overlooking the Fisherman’s Wharf Waterfront which provides the best vantage point to view the show. After dinner you will experience Universal’s Cinematic Spectacular: 100 Years of Movie Memories, celebrating the most powerful and emotional moments from Universal Pictures’ most iconic films – all on cutting-edge waterfall screens projected onto the lagoon and surrounded by colorful fountains and pyrotechnics. We will finish the night with a ride on the Hollywood Rip Ride Rockit; Orlando’s tallest roller coaster at 17-stories high!!! REGISTERED YET? Click here to register. In this new reality of ever fluid change and competitive pressure, material handling and supply chain organizations have no "extra" people and no "free" time. To maximize the people and time you do have, you need leadership that empowers every teammate with the knowledge and skills to own their piece of their organization. 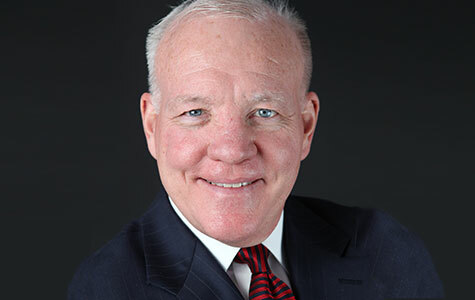 Drawing on his 33 years as a career soldier and logistician at every level, Major General Boles will walk through how leadership impacts the links in the worlds largest and most complex supply chain from the port to the Pentagon. What future impact will the current Administration have on the economy? What are the short-term and long-term economic forecasts for the U.S. and abroad? More importantly, how will those forecasts directly impact your company? 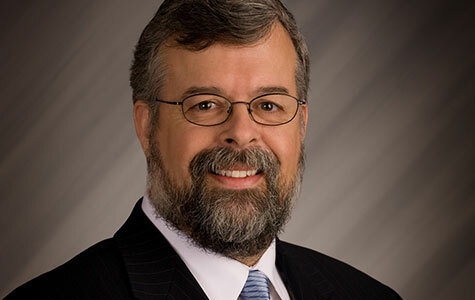 In this wide-ranging presentation, economics speaker Alan Beaulieu answers these questions and more as he forecasts the outlook for keys industries as well as the global economy. 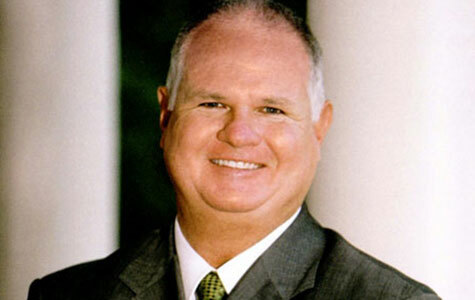 The Cinderella story of Jim Morris serves as testimony to the power of dreams and their ability to inspire and transform human life. Jim Morris's meteoric rise from 35 year-old high school teacher to flame-throwing major league pitcher in 3 months, made cinematic history with the release of The Rookie starring Dennis Quaid. This heartwarming and unforgettable Disney blockbuster about chasing your dreams and keeping your promises, won the ESPY award for "Sports Film of the Year." Sports Illustrated magazine also voted The Rookie one of the "five greatest baseball films ever made." MHI has invited a panel of end users and industry leaders to personally present leading-edge examples of how they are meeting today’s and tomorrow’s supply chain challenges. They will share their insights, strategies, best practices and answer audience questions in an interactive format. This panel discussion will give you the very first look at the U.S. Roadmap for Material Handling and Logistics – a report with contributions from over 100 strategic thought leaders about the future of material handling and logistics. Millennials and Gen Edge. Who are these new generations? What do they want from work, and how can you get them to work, and work hard, for you? 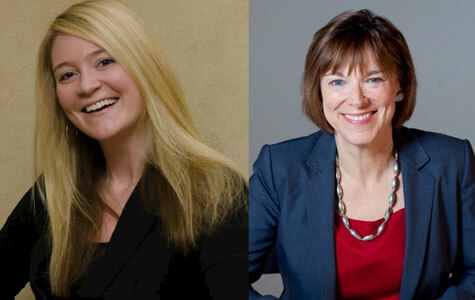 In this session hear from two generations - a seasoned Baby Boomer and a young Millennial - about how to attract 20-somethings, and how to engage them once they’re onboard. Experience world-class comfort and style at the Hyatt Regency Grand Cypress, a sprawling secluded oasis in beautiful Orlando, Florida. Surrounded by shimmering lakes and lush landscaping, this luxury resort is an ideal destination, just minutes from all the thrilling theme parks and attractions in the Orlando area. All stays are enhanced with upscale services and amenities that are sure to please. 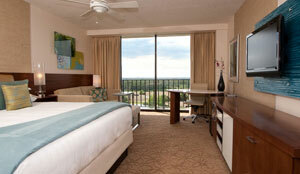 MHI special room rate of $189 plus tax is offered until Tuesday, August 27, 2013. After this date the hotel may increase the rate at their discretion. 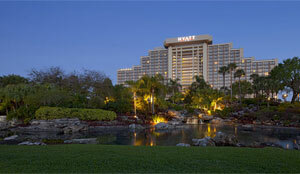 The MHI group room rate includes the Hyatt resort services package at no additional cost (value $18 daily). These amenities include: unlimited access for local 800 or 888 calls, unlimited use of the Health Club, 9-hole Pitch N Putt course, Golf driving range access, court time at the Racquet Club, all water sports including non-motorized boats (hydrobikes, sail boats, paddle boats and canoes), as well as resort bicycles and daily shuttle transportation to theme parks. You can register by fax. Fax both REGISTRATION and EVENT SCHEDULE with your credit card information to MHI at 704-676-1199, Attn: Kay Clark. Registration desk opens Sunday 3:00 PM. Complete and make payment for your registration by Friday August 16, 2013, and save $100 off each attendee's registration. Business casual for all events. For answers to any registration questions, please contact Kay Clark at 800-982-2055 ext 8701, fax: 704-676-1199 or kclark@mhi.org.